Jennifer Winget always remains under the limelight of the media. Be it her old shows, upcoming shows, her divorce with Karan Singh Grover or her rumored boyfriends, there's nothing that isn't discussed. And now these days, there are now talks about her upcoming show Beyhadh 2, which happens to be second season of Beyhadh. Jennifer's participation in the show was confirmed and there were talks about the male lead going on. Well now it seems as if the man opposite Jennifer has been finalized. There were names of Kushal Tandon and Jennifer's co-actor from Bepannah, Harshad Chopda playing the role of Arjun opposite Maya in the show. Kushal, in his birthday, opened up about the show and denied being a part of the show since he wants to do something new. There are fresh reports of Harshad being confirmed for the show. A report in an entertainment portal suggest that the production house have finally decided on to bring the favourite jodi of Aditya and Zoya back on the screen. The new season of the show will be created by Prateek Sharma for Sony TV. A source close to the portal said, "The abrupt end of Bepannaah was a disappointment for one and all. Jennifer and Harshad look fab together and are perfect for a love story with intense elements like Beyhadh. They bond well off screen too. While Jennifer is 99 per cent on board, Harshad is quite excited about it." The source further confirmed that Kushal will not be a part of the show and said, Beyhadh needs good actors as it is a performance-oriented show. We are just waiting for the green signal from Harshad." 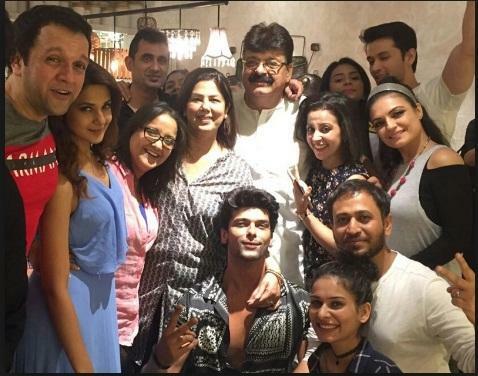 In the last season of the show, the cast including Kavita Ghai, Rajesh Khatter, Summit Bharadwaj, Aneri Vajani, Piyush Sahdev received immense amount of love and recognition and this time there will be a whole new cast. What do you have to say about the same? Let us know and stay tuned for more updates! ALSO READ: Mohit Raina shares a pool picture with a mystery girl and sadly she isn't Brahmastra actress Mouni Roy!